​​Ever wondered what your life would be like if things had gone differently? ​If you had pursued your passion? If you hadn't met that person? If you had taken that job opportunity? Perhaps you would be happier today. Or poorer. Or famous. Or what if, in fact, things could not possibly have been any different? Olivier is a depressed 30-year-old who was unable to chose what life to live. To help him, his psychologist Natalie travels to parallel universes to see who he could be today had he made different choices in his past, and discovers he has become a filmmaker in Paris, a lawyer in Helsinki, a UN worker in Jerusalem, a bartender in London and a resident in a homeless shelter in Los Angeles. Natalie guides us on this journey as she tries to understand: how much did he control his trajectory? What choices did he make and why? What are his regrets? And most importantly, is he happy? In doing so, however, she will have to reconsider her own intuitions about human freedom and come to terms with her own past choices. The film takes us on a journey through the 5 cities as real-world scientists including Max Tegmark (cosmologist, MIT), Daniel Dennett (philosopher, Tufts) and Barry Schwartz (psychologist, UC Berkeley) provide insights on free will, the nature of the universe and the psychology of choice and regret. "Wright's ambitious docu-drama-essay “Ψ” (Psi) begins with a quote from “The Garden of Forking Paths,” Jorge Luis Borges’s story about the multiplicity of destinies and the enigma of choice. It’s a bold reference, but he works to earn it." In the film: Olivier, a hermit, a lawyer, a filmmaker, a diplomat, a bartender, a homeless shelter resident. In real life: Filmmaker. PSI is his first screen credit. In the film: Caroline, in London she's an aspiring actress & Olivier's best-friend; in Paris, she's a successful actress & Olivier's wife. In real life: Caroline Fauvet is a French actress known for Je Suis Branché(s)(2016) and Géronimo (2014). Recently, she has been writing and developing her own projects. She met Olivier through a common friend in 2013. ​In the film: Mary, an ICRC delegate and Olivier's girlfriend in Jerusalem. ​In real life: Marie Lefèvre is a French political analyst. She studied political science at Université Panthéon-Assas, where she became friends with Olivier. PSI is her first film credit. In the film: Thom, a bartender, Olivier's coworker and roommate in London. In real-life: ​Thom Lefèvre is a French Actor who studied at the Cours Florent school in Paris. He's performed in several short films as well as on stage, in "Sallinger" by Koltès. 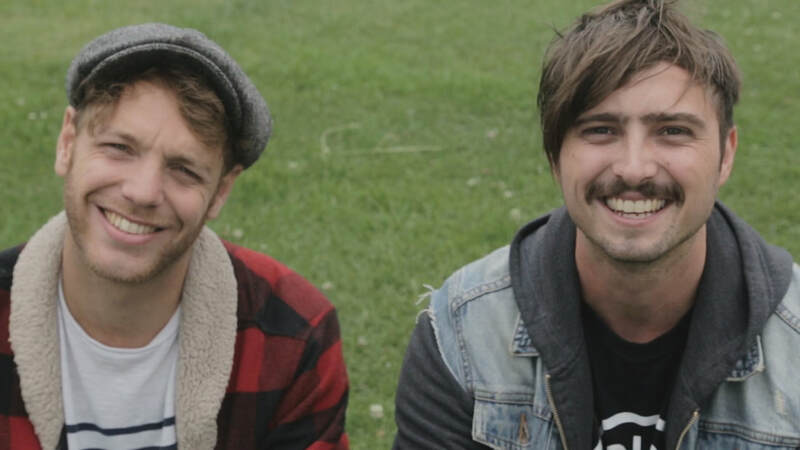 Thom and Olivier are best friends since high-school. 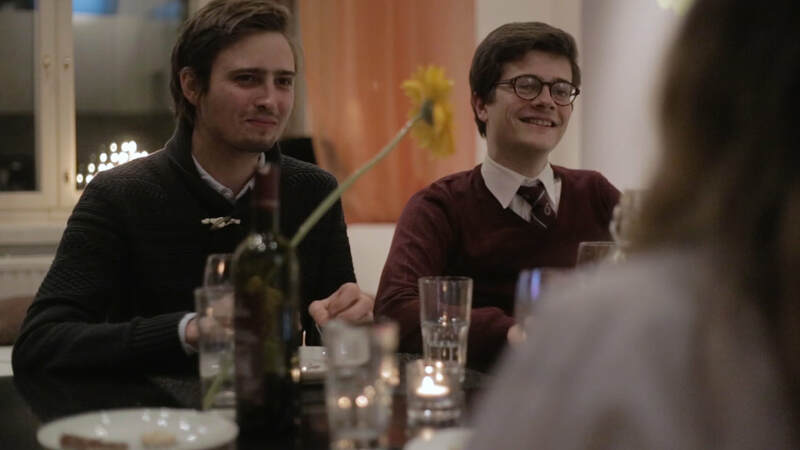 In the film: Paul, a corporate lawyer and Olivier's boyfriend in Helsinki. In real life: ​Paul Marinucci is a French medical executive working for a major French pharmaceutical company. A trained musician, he composer part of the score for the PSI Web Series. He is high-school friends with Olivier and Thom Terylson. PSI is his first film credit. In the film: Olivier as a child. In real life: Iggy is a French-American teenager whose father, Jaime Rodriguez, is a friend of Olivier's. ​PSI is his first screen credit. In the film: the voice of Natalie, Olivier's psychologist in the life where he's a hermit. DANIEL DENNETT is an American philosopher, writer and cognitive scientist. He is the co-director of the Center for Cognitive Studies and Professor of Philosophy at Tufts University. Known for his positions on consciousness, free will and secularism, he is widely considered one of the greatest living philosophers. BARRY SCHWARTZ ​is an American psychologist who is Professor at UC Berkeley and Emeritus Professor at Swarthmore College. He's the author of the bestselling books The Paradox of Choice (2005) and Why We Work (2015) and frequently editorialist in The New York Times. His TED talk on the paradox of choice and his TED talk on practical wisdom have been seen over 13 million times. MAX TEGMARK is a Swedish-American cosmologist, professor at MIT, scientific director of the Foundational Questions Institute and co-founder of the Future of Life Institute. He is a prominent voice in the media on topics such as the nature of reality, parallel universes, consciousness and artificial intelligence. He is the bestselling author of Our Mathematical Universe (2015) and Life 3.0 (2018). MICHAEL GAZZANIGA is an American neurobiologist and head of the SAGE Center for the Study of the Mind at UC Santa Barbara. Considered the father of cognitive neuroscience, he is a member of the National Academy of Sciences. ROBERT KANE is an American philosopher, Distinguished Professor of Philosophy at the University of Texas at Austin. He is considered the leading philosopher arguing for a libertarian kind of free will. GALEN STRAWSON is a British analytic philosopher who is Professor of Philosophy at the University of Texas as Austin. He has been consultant editor at The Times Literary Supplement as well as a regular literary critic at The Observer and The Guardian. GIORGIO CORICELLI is an Italian economist and psychologist who is professor at the University of Southern California. His areas of research include the role of counterfactual emotions, such as regret and envy, in decision making. OLIVIER WRIGHT completed a BFA 1 in filmmaking before studying law, political science and philosophy in Paris and London. In his twenties, he pursued several professional avenues while still writing short and feature screenplays. In 2014, he began shooting his first film, PSI. JULIEN ROCHARD is a French sound designer & mixer. Since graduating from EFET film school in 2008, he's been working for radio, television (Odyssée, Planète), corporate videos (l'Oréal, Chanel) and on several short and feature films (La Danse des Accrochés by Dantel). He runs his own sound studio, "Studio 74". In Los Angeles we shot at the THE MIDNIGHT MISSION, a human services organization that has been present on Skid Row for over 100 years. Special thanks to RYAN NAVALES, who allowed the shoot, JOEY WEINART who not only vouched for the project but quickly became the model for the character in the film, and TOBY METZ, who stepped in as cinematographer. In Paris, the "film set" scenes were shot on the set of "Brice de Nice, 3" starring Jean Dujardin. Special thanks to director JAMES HUTH who took a chance on this project and MANDARIN CINEMA who open their doors to PSI. "First-time filmmaker Olivier Wright has turned out something unique. [...]"
For those who want to go deeper, the film comes with a 9 episode, 4 hour+ series focuses on the interviews conducted for this project in philosophy, physics and psychology, diving into the question of free will, quantum physics, choice and regret. The book tells the story behind this whole project, from inception to release, providing insights on the experience of self-producing the film as well as thoughts on human freedom. It is currently still being written as the project is unfolding.